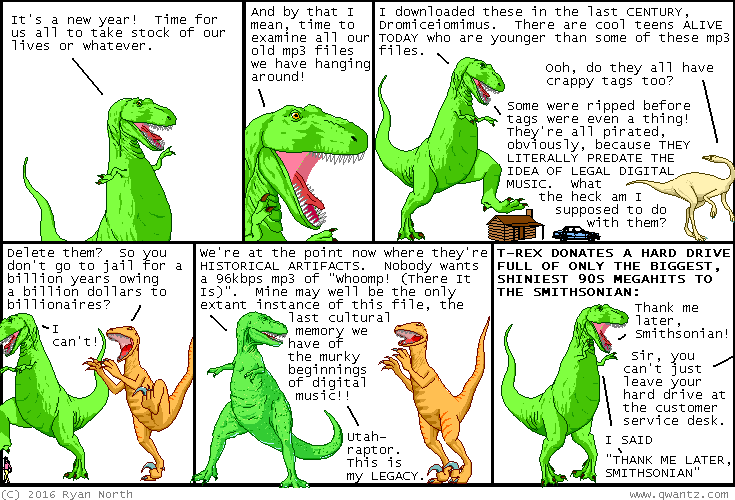 Dinosaur Comics - January 6th, 2016 - awesome fun times! January 6th, 2016: Uh T-Rex is a fictional character and definitely not me, RIAA. One year ago today: alternative saddest one-word story: "ennui"